Yoruba music is regarded as one of the more important components of the modern Nigerian popular music scene. Although traditional Yoruba music was not influenced by foreign music the same cannot be said of modern-day Yoruba music which has evolved and adapted itself through contact with foreign instruments, talents and creativity. Interpretation involves rendering African, here Yoruba, musical expression using a mixture of instruments from different horizons. Yoruba music traditionally centred on folklore and spiritual/deity worship, utilising basic and natural instruments such as clapping of the hands. Playing music for a living was not something the Yorubas did and singers were referred to in a derogatory term of Alagbe, it is this derogation of musicians that made it not appeal to modern Yoruba at the time. Although, it is true that music genres like the highlife played by musicians like Rex Lawson, Ebenezer Obey Segun Bucknor, Bobby Benson, etc., Fela Kuti's Afrobeat and King Sunny Ad 's j j are all Yoruba adaptations of foreign music. These musical genres have their roots in large metropolitan cities like Lagos, Ibadan, and Port Harcourt where people and culture mix influenced by their rich culture. 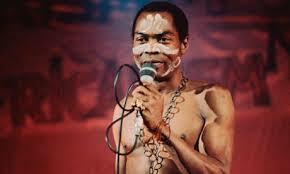 Some pioneering Juju musicians include Tunde King, Tunde Nightingale, Why Worry in Ondo and Ayinde Bakare,Dr. Orlando Owoh, Dele ojo, Ik Dairo Moses Olaiya (Baba Sala). sakara played by the pioneers such as Ojo Olawale in Ibadan, Abibu Oluwa, Yusuf Olatunji, Sanusi Aka, Saka Layigbade. Apala, is another genre of Yoruba modern music which was played by spirited pacesetters such as Haruna Ishola, Sefiu Ayan, Ligali Mukaiba, Kasumu Adio, Yekini (Y.K.) Ajadi, etc. Fuji, which emerged in the late 60s/early 70s, as an offshoot of were/ajisari music genres, which were made popular by certain Ibadan singers/musicians such as the late Sikiru Ayinde Barister, Alhaji Dauda Epo-Akara and Ganiyu Kuti or "Gani Irefin. Another popular genre is waka music played and popularized by Alhaja Batuli Alake and, more recently, Salawa Abeni, Kuburat Alaragbo, Asanat Omo-Aje, Mujidat Ogunfalu, Misitura Akawe, Fatimo Akingbade, Karimot Aduke, and Risikat Abeawo. In both Ibadan (Nigeria's largest city), and Lagos (Nigeria's most populous city), these multicultural traditions were brought together and became the root of Nigerian popular music. We also love Yoruba Gospel Music. Here are some Yoruba Gospel Music, Praise and Worship Songs. Listen and download Yoruba Gospel Music For Free!